Ptosis is a drooping of the upper eyelid. Ptosis, if present since birth is called congenital ptosis. In children, the most common cause is the improper development of the levator muscle, the major muscle responsible for elevating the upper eyelid. With adults, it may occur as a result of aging, trauma, or muscular or neurologic disease. Ptosis can affect one eye or both eyes. Ptosis may be present at birth, or it may develop later in life. In most cases of congenital ptosis, the problem is isolated and does not affect the vision. Any ptosis that develops over a period of days or weeks can signal a serious medical problem and needs further neurologic and physical evaluation. The most obvious symptom of ptosis is noticeable drooping eyelids and an obscured field of vision, but there are often additional factors that individuals can monitor –Ptosis sufferers will often unintentionally stop reading, simply because it has become a struggle to keep their eyelids open. The elevator will fatigue from overstrain after a few minutes of reading if extra effort is needed to keep the eye open. Another symptom of this condition is the need to keep one’s chin elevated in order to see effectively. By keeping the chin up, one can continue to see out of their affected eyes quite well, despite the effects of ptosis. 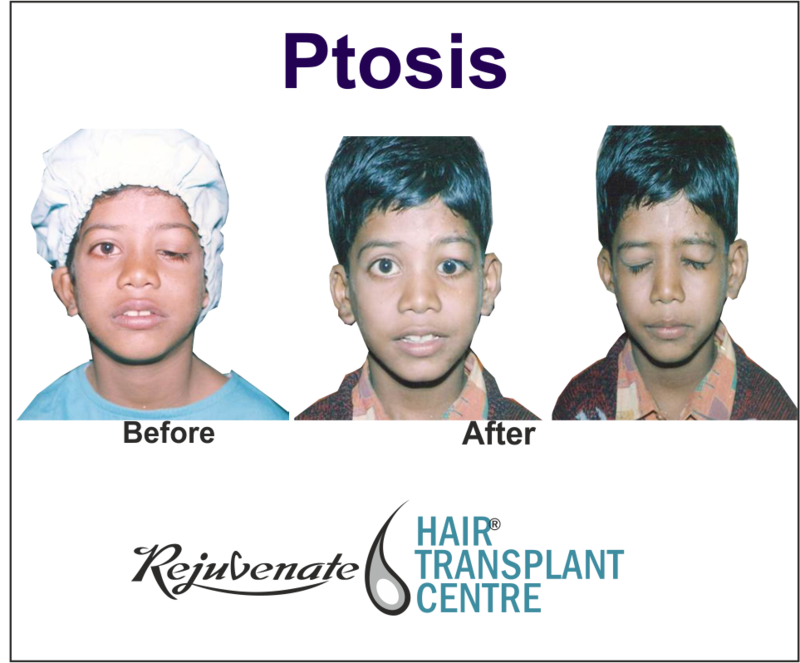 The issue of ptosis may begin to negatively affect their lives to such an extent that it begins to cause behavioural changes. If age-related ptosis blocks your vision or seriously affects your appearance, a plastic surgeon usually can correct the problem by surgically raising your eyelid. During ptosis surgery, eyelid-lifting muscle (elevator) is tightened. In severe ptosis, when the levator muscle is extremely weak, the lid can be attached or suspended from under the eyebrow so that the forehead muscles can do the lifting. Following the administration of a local anesthetic, an incision is made in the upper eyelid crease (if present) and the levator muscle is identified, tightened, and reattached to the tarsal plate. Your ophthalmologist will determine the cause of the ptosis and plan the best treatment. If treatment is necessary, it is usually surgical. Sometimes a small tuck in the lifting muscle and removal of excess eyelid skin (called blepharoplasty) can raise the lid sufficiently. More severe ptosis requires reattachment and strengthening of the levator muscle. Eyelid ptosis surgery is a more technically challenging operation than blepharoplasty surgery (removal of extra eyelid tissue) and should only be performed by plastic surgeons.